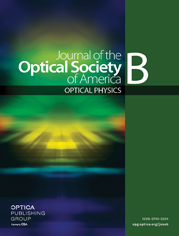 Interferometric, spectrally resolved imaging of self-diffraction is a recently introduced technique for the temporal and spatial characterization of laser pulses. Using either an analytical or an iterative method, pulse retrieval is achieved for two independent laser pulses in a non-collinear geometry. The method is not sensitive to beam alignment in the nonlinear medium and does not require two identical copies of one laser pulse. Here, it is explored how the method can be applied to over-octave-spanning waveforms using numerically generated data. Two configurations are presented. One configuration provides the simultaneous characterization of two pulses but is limited to a bandwidth of less than 1.6 octaves (a frequency ratio less than 1:3 between the lowest and the highest frequencies in the spectrum). The other configuration is suited for a bandwidth with a frequency ratio up to roughly 1:5, but it provides the characterization of only one out of two independent pulses.